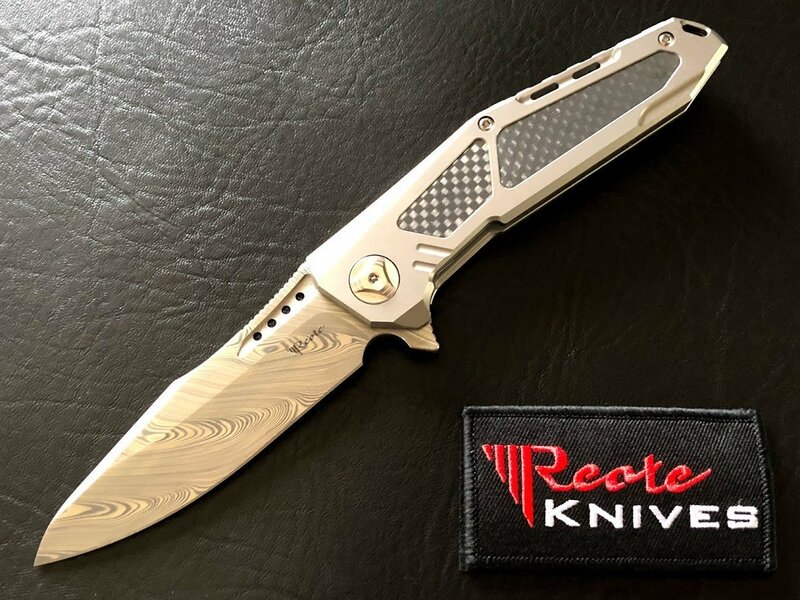 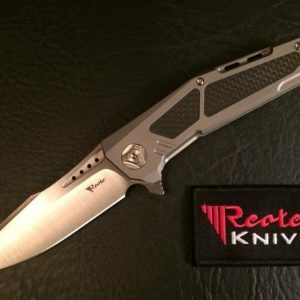 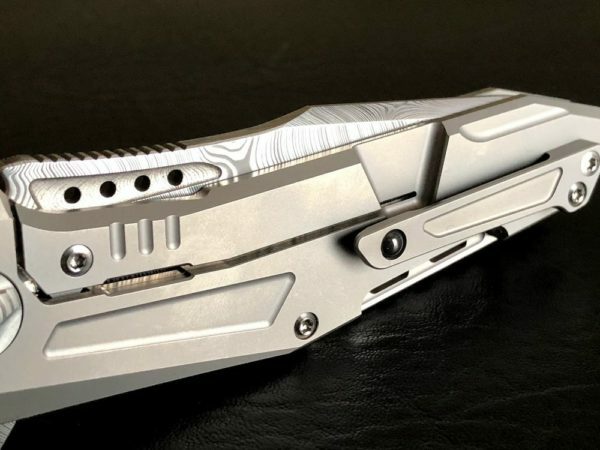 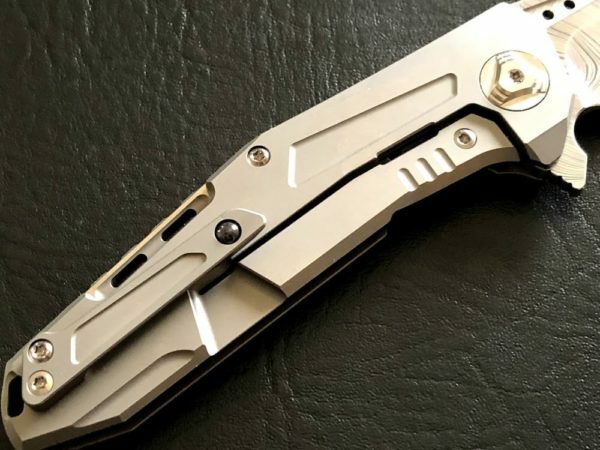 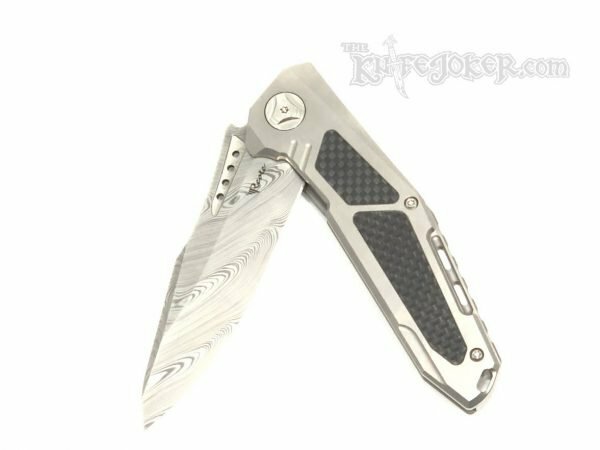 This Reate Knives K-3 is a titanium frame-lock flipper knife. 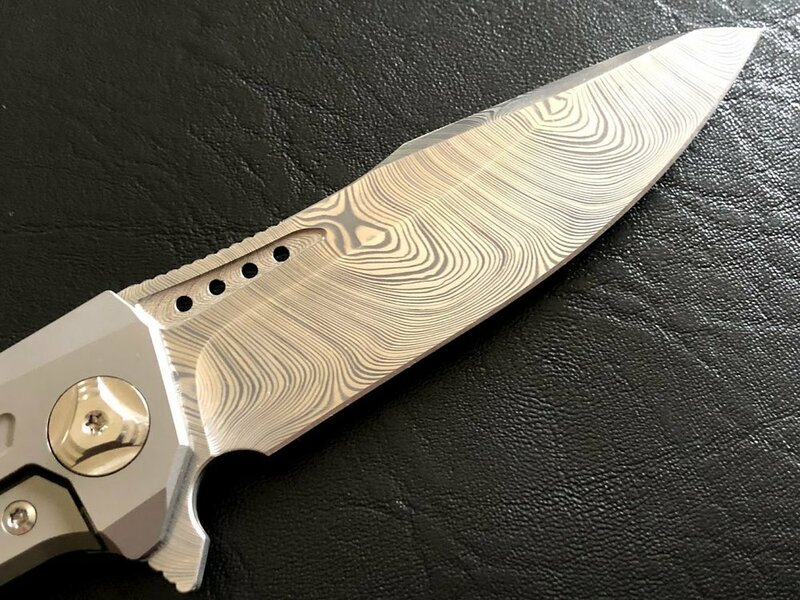 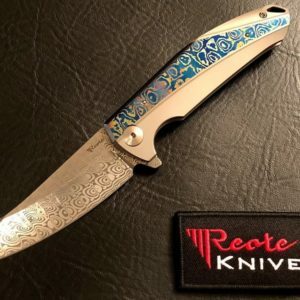 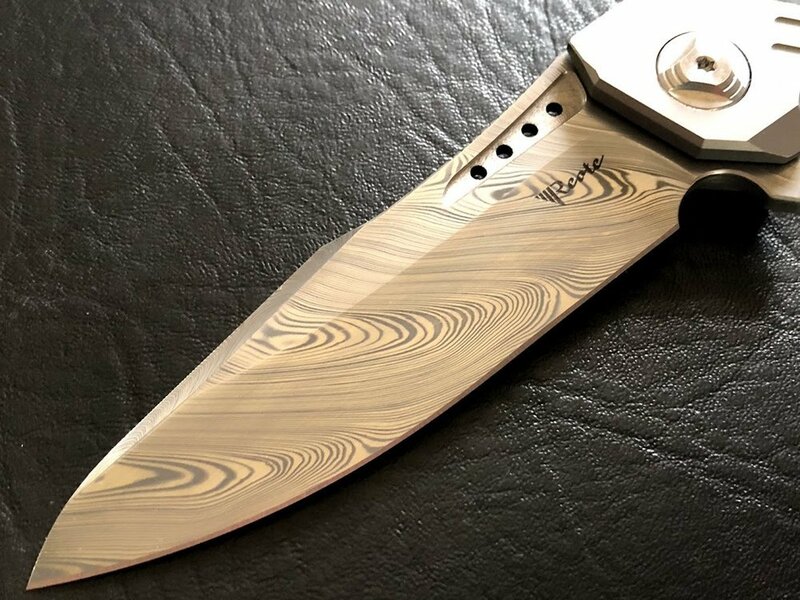 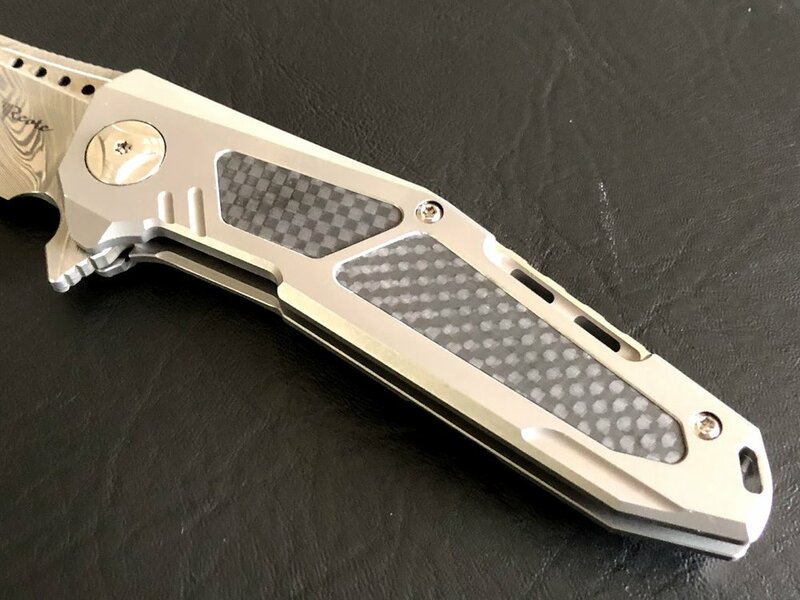 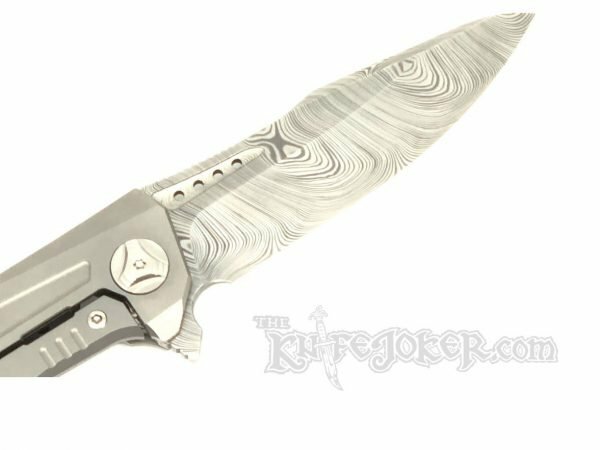 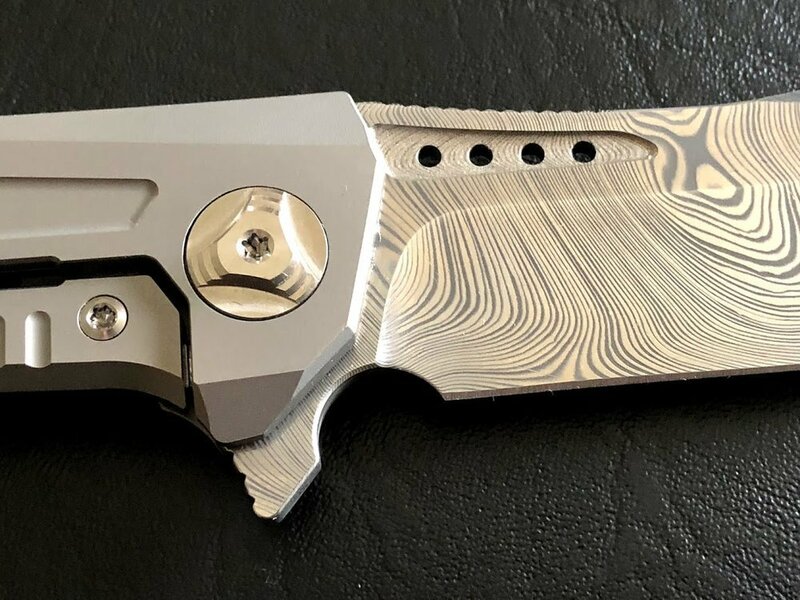 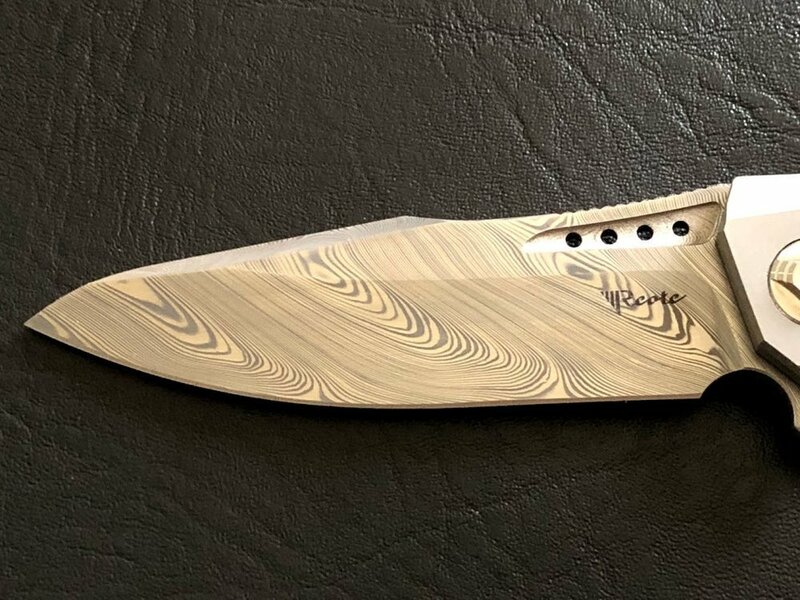 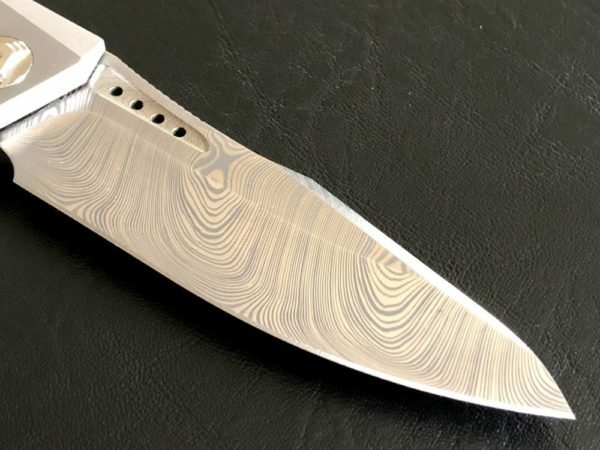 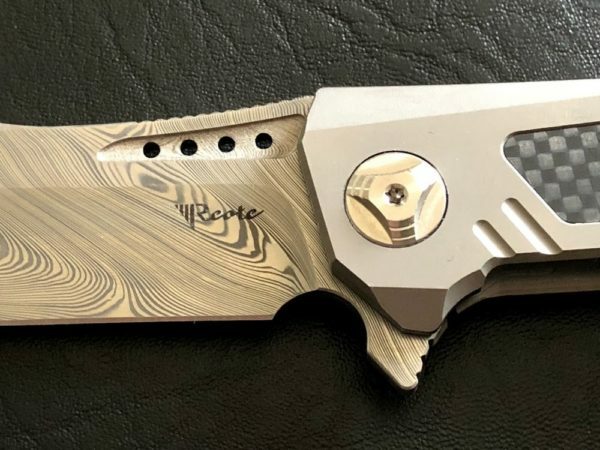 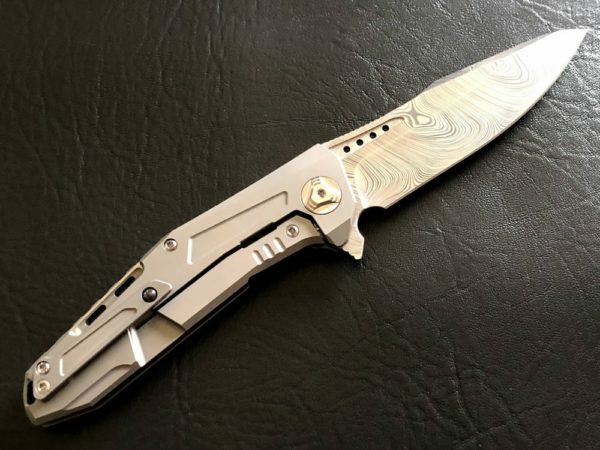 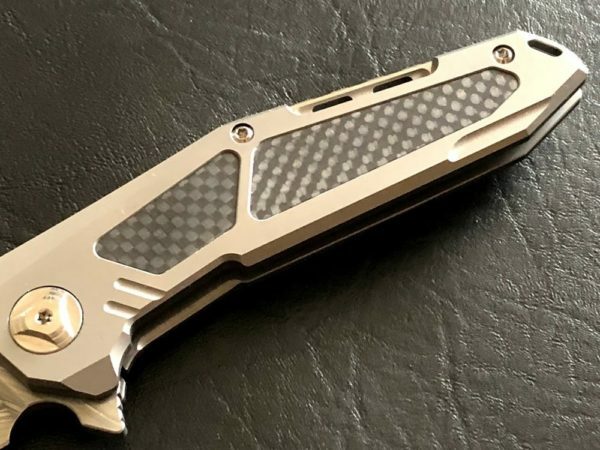 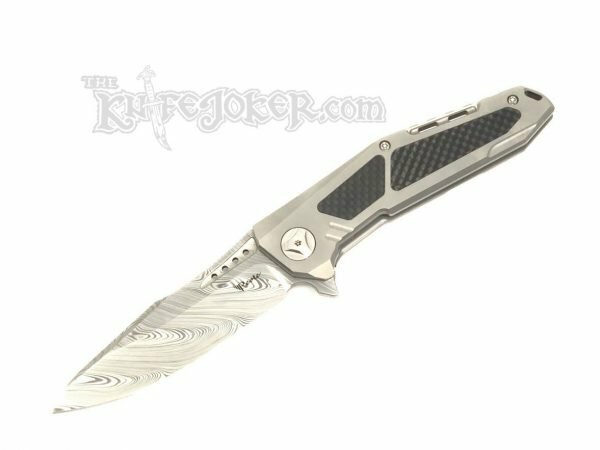 It features a drop-point Damasteel Damascus blade. The handles are bead blast titanium with a carbon fiber insert. 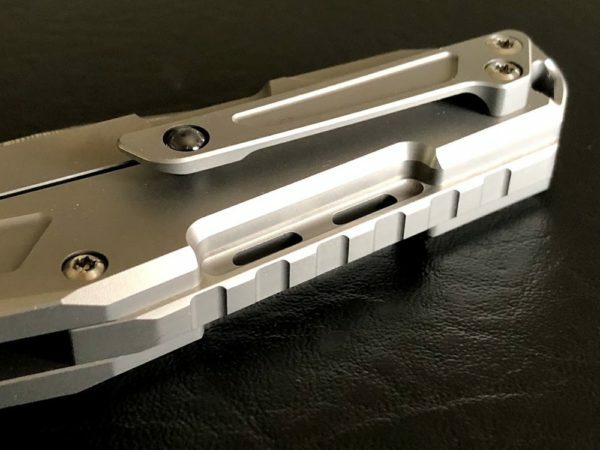 The lock bar does have a steel lock bar interface. 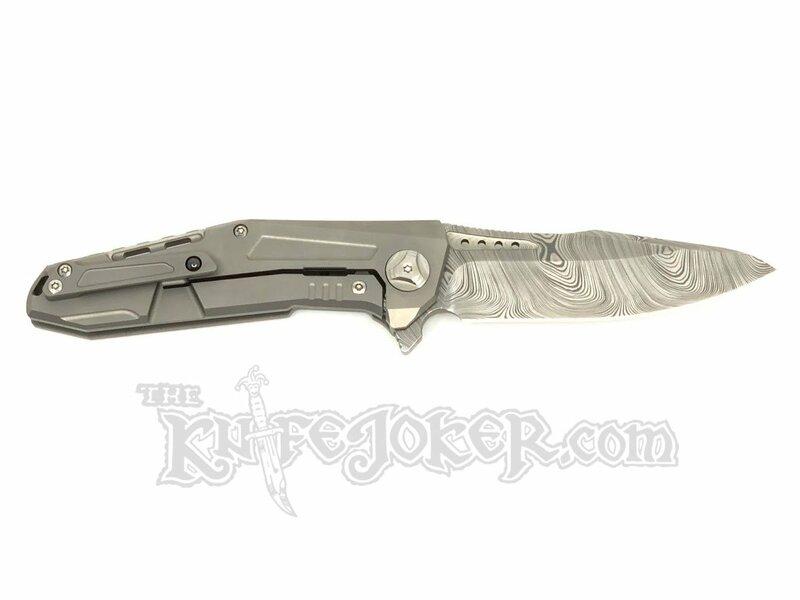 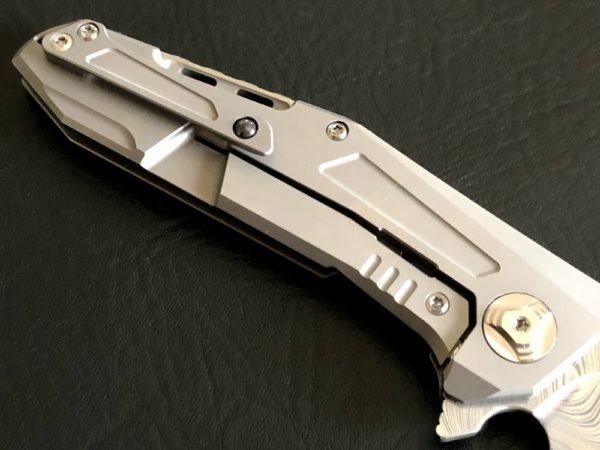 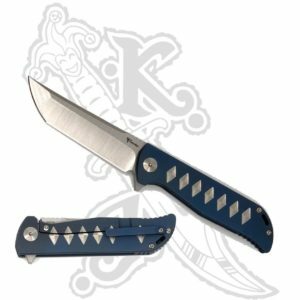 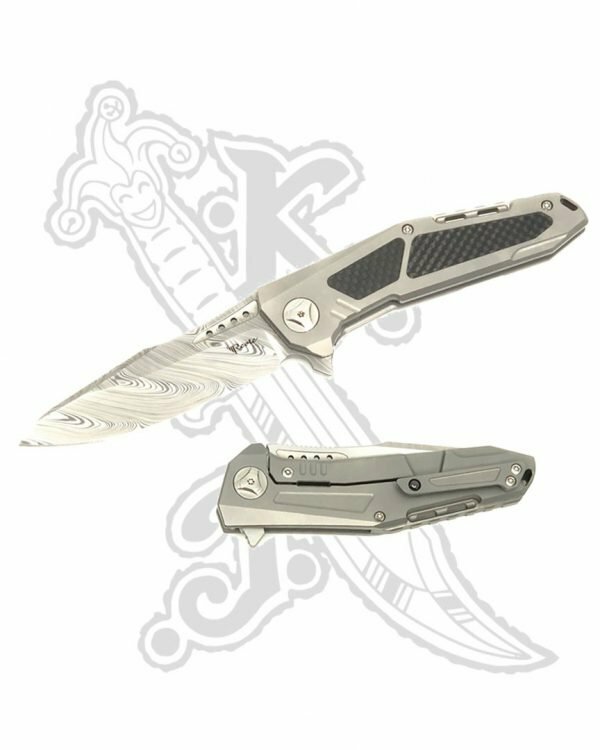 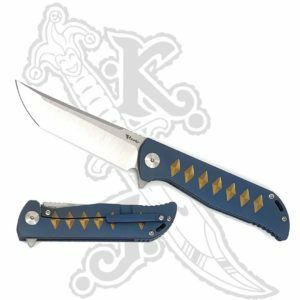 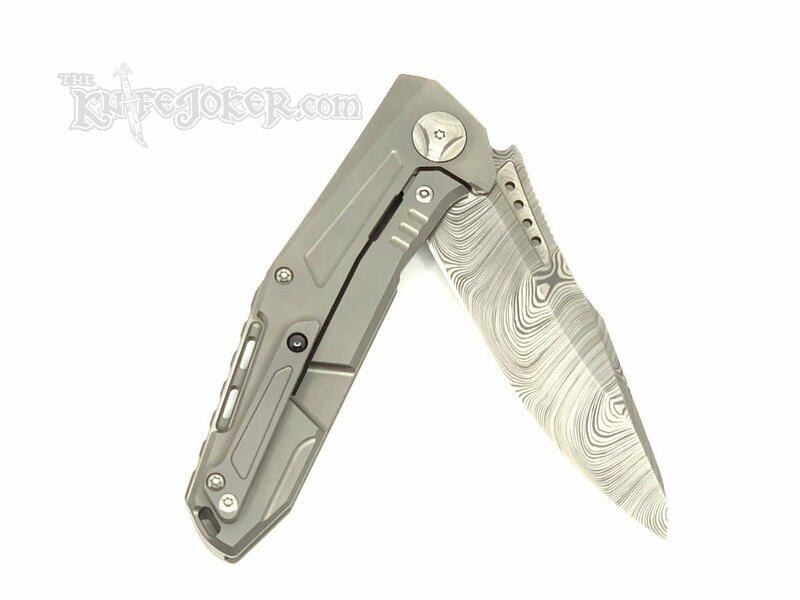 This K-3 has a titanium back spacer, clip, pivot, handle scales, and screws. 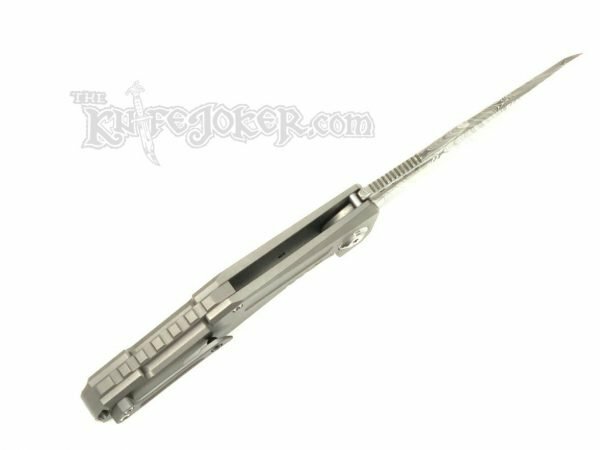 The clip uses a ceramic ball for easy in and out of the pocket. The knife rides on ceramic bearings as well. 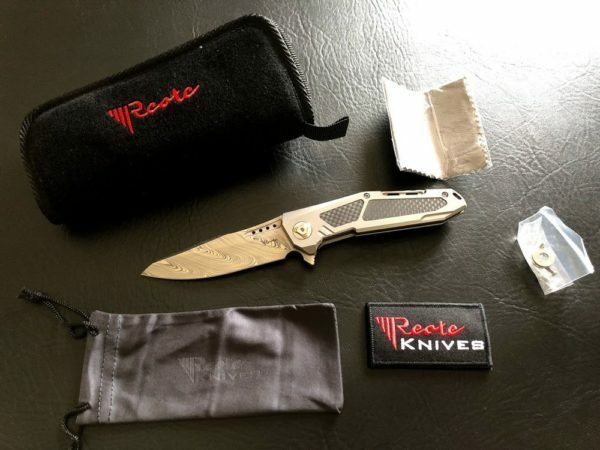 This knife comes with a plush zipper pouch, extra hardware, cloth knife bag, cleaning cloth, and a Reate Knives logo patch.